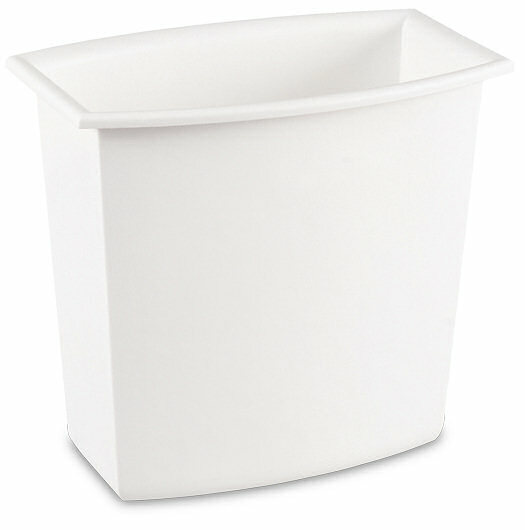 2 Gallon Rectangular Vanity Wastebasket is rated 5.0 out of 5 by 5. Rated 5 out of 5 by greatbuys4less from Nice design and fits in tight places This product has a great design, looks nice and can fit in places other round or rectangular cans can't fit. Perfect for office of bathroom. Rated 5 out of 5 by kimco6 from perfect trashcan This trashcan is perfect for the bedroom, bath, or office. It holds a lot but is compact and can fit in smaller spaces. Very handy. Rated 5 out of 5 by Perfect for any room! from Perfect for every room! 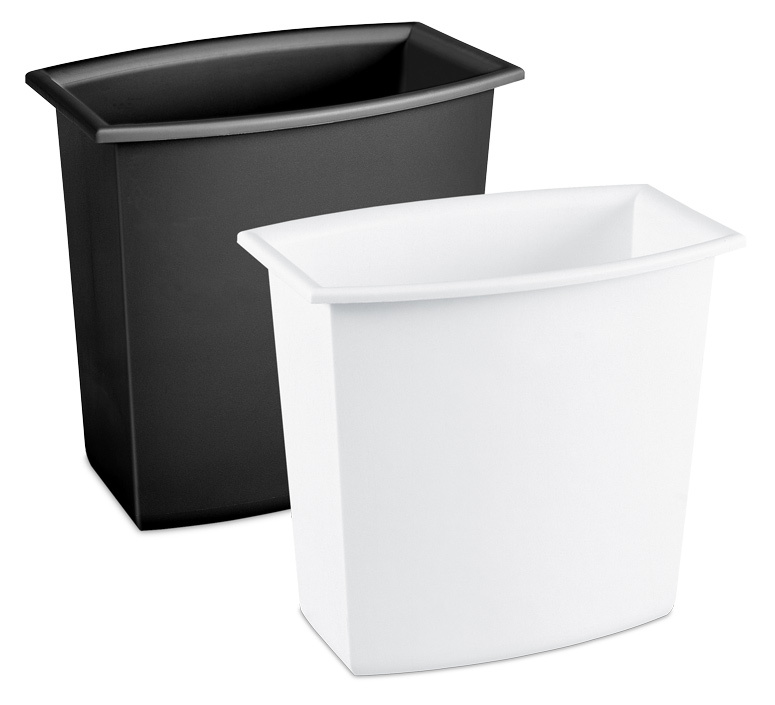 These 2 gallon wastebaskets are perfect for every room! They fit under a desk, table, behind a door, in a niche, well, you get the point! :) I have 4 of these throughout the house. I love how I can use plastic grocery bags as the liners. These wastebaskets are easy to clean too. I have always loved Sterilite products, good job! Rated 5 out of 5 by KristenB from Nice for a bathroom It is a nice small size for a bathroom. Fits a plastic grocery bag as a liner. © 2019 Sterilite Corporation - All Rights Reserved.